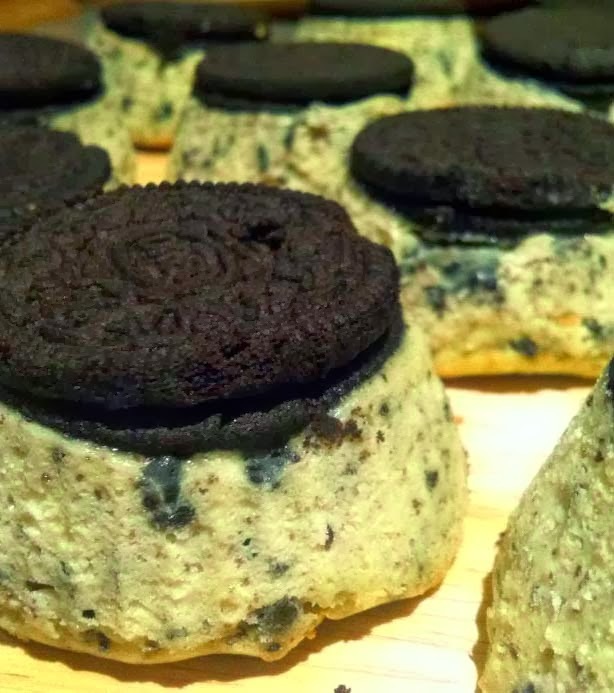 The recipe for this glorious cheesecake cupcakes with Oreos is from HousewifeGlamour.com. Very tasty! 1. Preheat oven to 275 degrees F.
2. Line 12 standard muffin tins and 4 ramekins (or 16 muffin tins, if you have them) with paper linens. 3. Place 1 whole Oreo in the bottom of each lined cup. 4. In a large mixing bowl, beat the cream cheese. Gradually beat in Stevia and vanilla. 5. Pour in the beaten eggs, a little at a time, scraping down the sides of the bowl after each addition. 6. Beat in the sour cream and salt. 7. Stir in chopped cookies by hand. 8. Pour the batter into the prepared tins, filling each almost to the top. 9. Bake, rotating pan halfway through, until filling is set, 22-25 minutes. 10. Cool in the pans for about 15 minutes, on a wire rack. 11. Transfer cakes onto a plate and cool in the refrigerator for at least 4 hours. 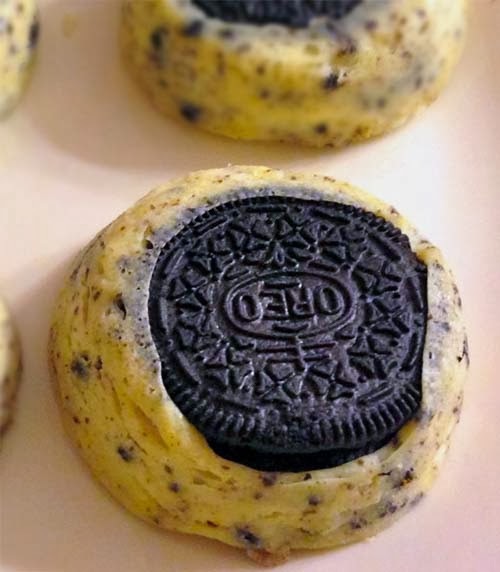 For more Oreo cheesecake treats, see the recipe for Oreo Cheesecake bites.